A proposed regulation by the U.S. Department of Transportation’s National Highway Transportation Safety Board (NHTSB) would require all cars to be fitted with a event data recorders (EDR). Here is the proposed legislation . These are similar to the little black boxes in planes. They record certain data when a wreck occurs. Examples include how fast was the car going, did the person hit the brakes, and did the airbags deploy. They do not record continually, just when an impact is hard enough to, usually. deploy the airbags. The majority of the new cars already have these boxes. 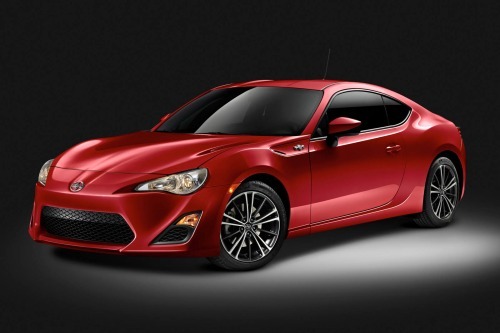 I recently got a little Scion FRS and it had one and I did not even know it until I started reading about the EDR’s. So if they are as successful in planes should it not also go into cars? Well, some people have concerns, especially those in the computer society. When new technologies are designed, hopefully the developers look at the positive effects as well as the possible negative effects. This is where some in the computer society are raising questions. There was a bill passed by the Senate Bill 1813 in 2012 which was similar. The computer industry was concerned because one of the issues was that it would allow the IRS to track people who owed over a certain amount of money. The recommendation that is proposed currently is looking at the limited data; however, there is nothing to say car companies / government can not put recording devices (voice) and other systems like GPS in these boxes. Some people want these devices while some see it as a violation of their privacy. Data will be recorded all the time. The recommendation is that it is not for prolonged intervals just several minutes associated with the crash. Opponents say that is not recommend that does not restrict it from being done for long times or all the time. Privacy Issues – The agency knows it is a concern but says it is not their authority to impose what can and can not be allowed; instead, that is up to the states or federal officials to set these laws. Opponents say that makes it ok until someone sues to stop it or forces their state government to stop it. Until then your data can be collected without your consent. Virginia is one of the 13 states that do have a law on EDR’s. Here, the law exactly spells out in what cases data can be collected (besides by the owner). Data will be taken without your consent. The agency says it requires the owners consent, a judge’s approval or in case of an emergency. Opponents concern is that in the bill, they can demand you to give them the data or you can incur civil penalties if you do not provide what they ask or prove your EDR is functioning. Opponents say it is not the owner giving consent in this case, as it is either give the data or be found guilty of not following the request. Opponents say these are not like seat-belts which save lives and should not be mandated. The agency says it gives useful data, such in the case with the Toyota Prius, that help determine cause. I would also point out that in the case of the black boxes on planes, a lot of that data has helped us realize what caused the crash and prevented future ones. A concern that I do not see addressed is the access of the devices to outside parties. I know most are not concerned because they say it will only be the owners, courts or government. However, these kind of devices may be equipped with GPS and audio recording devices. Depending on the design, which would have to transmit it if has a GPS, then that opens it up to being hacked. For many people it is not an issue, as their phone tells me on Facebook every time they go to the grocery store. I do not transmit GPS from my phone. If I wanted that technology in my car, then I could buy LoJack or some tracking system without it being mandated.. Personally, I think these EDR systems are good if they are just collecting data for a crashes. Voice recordings in a car would yield little information as they are not like pilots saying exactly what they are doing in a situation. Also if it is recording only during the seconds of a wreck why do you need a GPS, as you know where the accident occurred. You can go put in your opinion officially here to the NHTSB. They are taking input until Feb. 11, 2013. Telecommunications law has required since the days of the telegraph that a backdoor for national security purposes be built into any such device as this. The only exceptions are where it is impossible for the manufacturer to build that kind of technology into the system. So regardless of whatever the laws say, the government will always have the ability to access this data whenever it deems necessary for national security purposes. Every, and I do mean every, piece of signal intelligence originating in the country is already tracked and logged by NSA. If these devices have any sort of transmitting ability, the government will have complete access to it. Well Max I don’t live in a bubble of denial (sometimes I wish I did ). I know the NSA is tracking everything but I would hate for the IRS or a hacker to be monitoring my location or my conversations. I remember one of my old Systems Admin use to say if the comptter is hooked up to the outside world it can be hacked. True for this system also. Imagine a scenario where you cause a car crash. No one asks for your EDR data (yet). The insurance company then declares your car a total loss. They write you a check and say go get a new car. At that point, the insurance company is the owner of your totaled car, and with full rights to read the EDR and see if you were in violation of your policy. At that point, they are free to file a claim and demand their money back if they find a violation. Where are your 4th and 5th amendment rights under Virginia law to protect you? Virginia says the actual owner can read the EDR data. Do you know how to wipe your car’s EDR? I sure don’t. I see many issues with this law. What if the car makers decide to install a wireless device and phone the data home? They’ll claim it is for product improvement. What about your personal privacy in that case? You can imagine many situations where this technology is a concern. No, they record at all times. That is the concern of this bill it suggest currently to only collect during a wreck but there is nothing to prevent them when passed doing it all the time. Since most cars already have them now they are determined by the car companies.